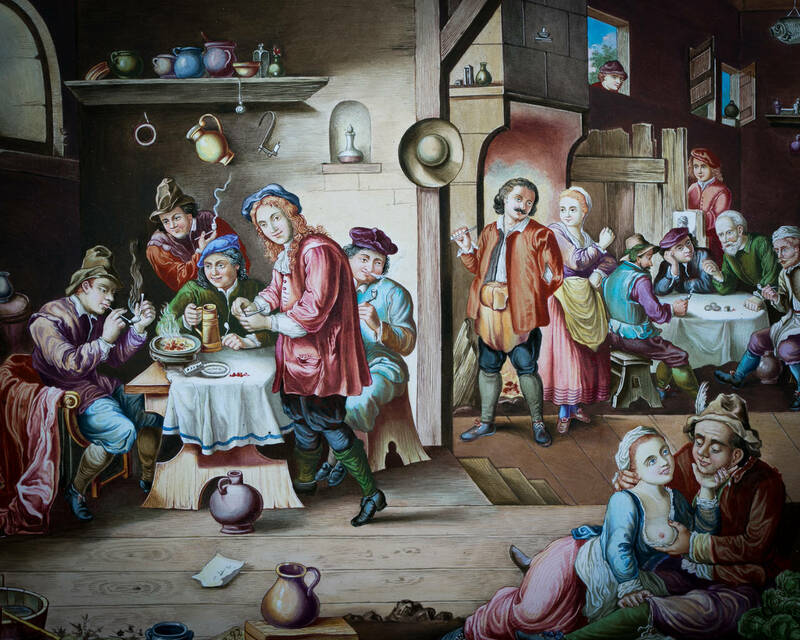 Flemish Painting of "Pastoral Scene"
Viennese enamel painting of a tavern scene, circa 1875. 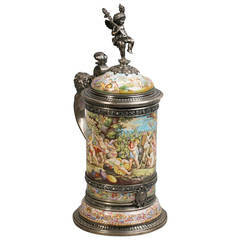 Large Vienna silver and enamel tankard, circa 1875. 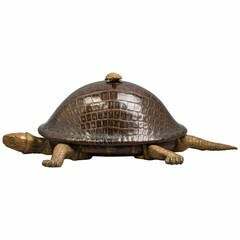 English Staffordshire figure of Napoleon, circa 1875. With a traditional pose. 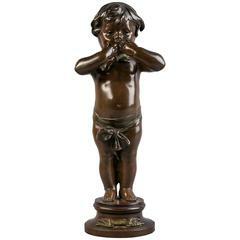 Bronze sculpture of a child blowing a kiss, signed A. Lefebvre, entitled "Bonjour." 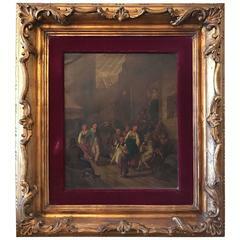 Antique tavern scene oil painting Origin: Belgium, circa 1820. 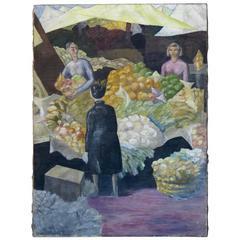 Measurements: 25" W x 2 1/4" D x 28" H.
Whimsical oil-on-canvas painting of a curler. 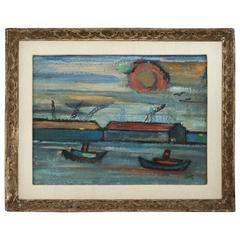 Artwork was found in Montreal, in its original frame. 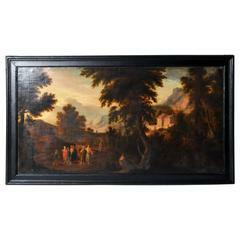 Large, nicely executed oil painting on canvas representing a market scene. 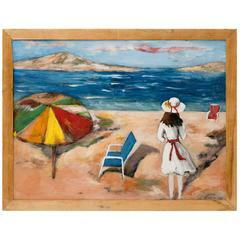 Surrealist Mediterranean beach scene painting of girl facing sea, two empty modernist beach chairs, and graphic umbrella. Signed, Veronica, 1983. 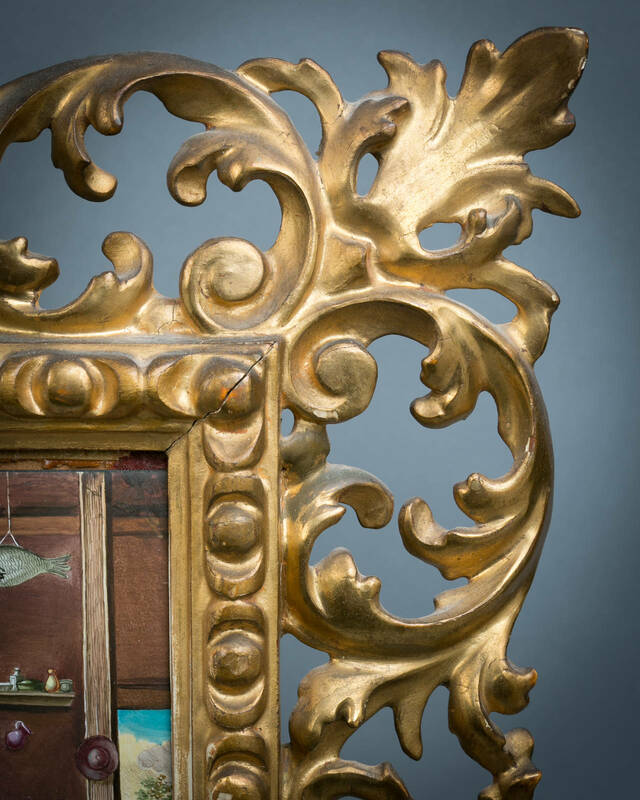 Painted on wood panels, set within gilt frames. Each signed W. Cleney. Shipping label from UK on back of each.